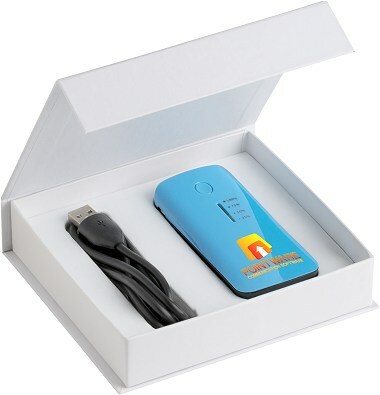 Power bank with light blue front showing charging lights. 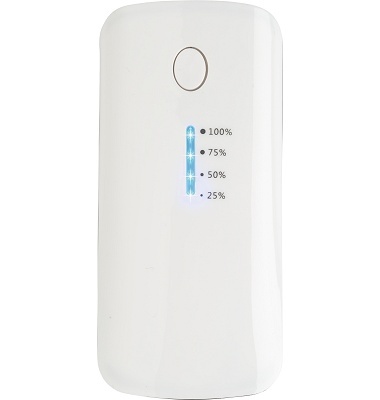 Power Bank Promotional Gift white front. 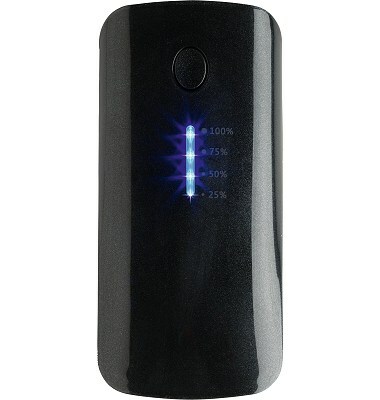 Power Bank Promotional Gift black front. 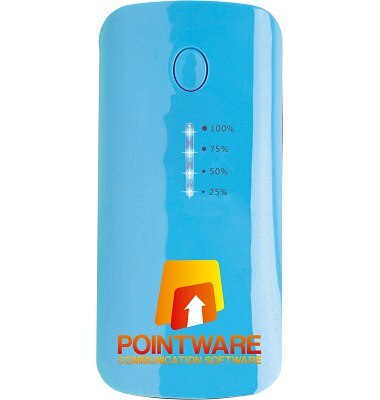 This 4000mAh power bank is plastic with a metallic look. It has a glowing battery indicator and flash light too.